Happy birthday, J.K. Rowling and Harry Potter! We are big fans. 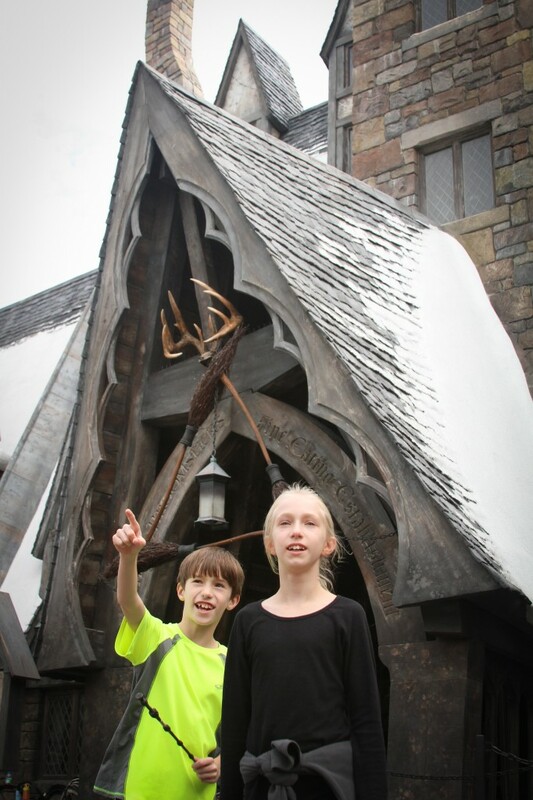 Here are photos of our mind-blowingly wonderful trip to Universal Studios in Orlando, Florida in December. 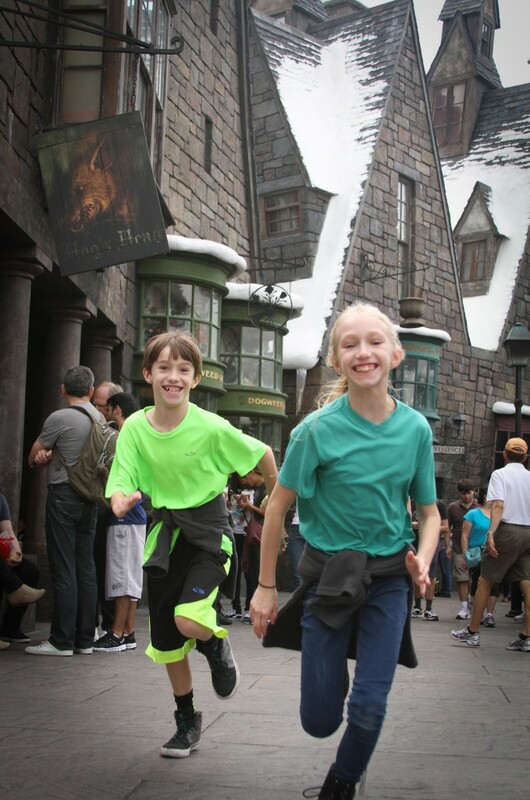 My favorite part of our week in Florida was spending time in Hogsmeade and Diagon Alley. I never wanted to leave. The Three Broomsticks is now my favorite restaurant in the world. We spent two whole days at Universal Studios and happily lunched there both days. 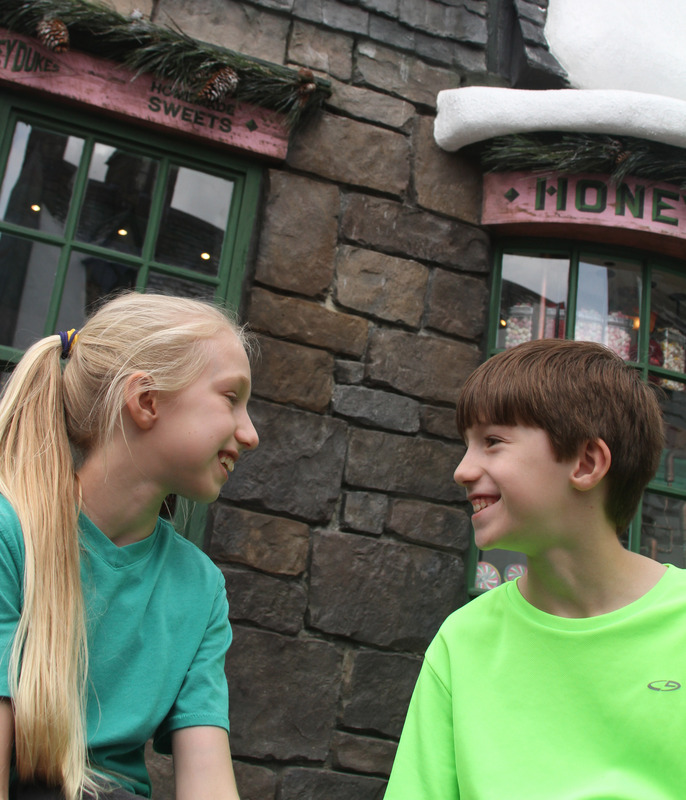 Honeydukes candy shop put an even bigger smile on our faces.